RMN houses most tranpsort units and combat helicopters. RMC houses combat helicopters and fighter bombers while RMS houses fighters and trainers. 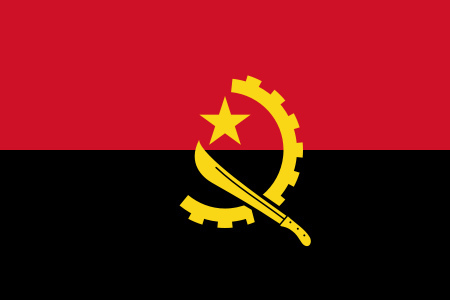 Structure: Angola’s President is Commander-in-Chief of the Angolan Armed Forces. Conscription is 24 months. Angola has one of the largest militaries on the African continent, with one of the largest air forces and armies. Although large in numerical terms and theoretically well equipped, the Angolan Armed Forces suffer from inadequate maintenance. A large proportion of Angola’s air force (FAN) is in a state of disrepair due to a lack of maintenance or is in storage. The Angolan Navy (MGA) has been neglected and ignored as a military arm mainly due to the guerrilla struggle against the Portuguese and the nature of the civil war. From the early 1990s to the present the Angolan Navy has shrunk from around 4 200 personnel to around 1 000, resulting in the loss of skills and expertise needed to maintain equipment. In order to protect Angola’s 1 600 km long coastline, the Angolan Navy is undergoing modernisation but is still lacking in many ways. Portugal has been providing training through its Technical Military Cooperation (CTM) programme. With regard to procurement, the Navy has a request for a frigate, three corvettes, three offshore patrol vessel and additional fast patrol boats. Angola is spending about 9% of the government budget on defence as it attempts to modernise its forces and maintain a strong position with regard to instability in central Africa, particularly its neighbour the Democratic Republic of Congo. It also needs to secure its offshore oil installations. External •	Angola is facing no external military threat. •	Maritime piracy within the Gulf of Guinea has been drastically increasing. Although this has as not yet affected Angola’s maritime zones of responsibility, it is something to take note of. Internal	 •	Low scale insurgency in the Cabinda province by the FLEC. •	Poor security is experienced in Angola’s rural areas due to crime and banditry. Regional •	Military instability within the DRC could affect Angola’s foreign security policy design. •	Choosing a successor to current president dos Santo’s could spark a destabilizing struggle within the ruling MPLA. Economic	 •	Angola’s economy is highly dependent on revenue generated from oil and mineral exports. International price instability could lead to instability in the Angolan economy. Note: The order of battle figures for Angola may not be completely accurate due to the varying serviceability of much of its equipment.